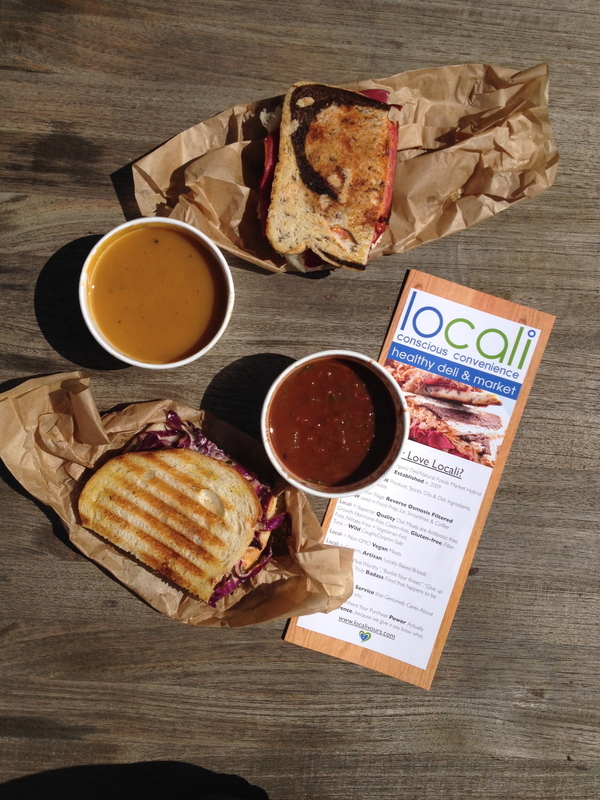 Locali describes itself as the love child between 7-Eleven and Whole Foods. (You know what they say – opposites attract.) And the concept of a convenience store offering clean, organic, health conscious food, pantry staples and personal care essentials is a beautiful thing. Located at Lincoln Blvd. and Vernon Ave., right next to Wurstkuche, Locali takes over the corner space in Lincoln Plaza that's been empty since Del's Lemonade shuttered in 2011. Moving in next was supposed to be Shulzies Bread Pudding. The maker of 108 delectable flavors of bread pudding has a walk-up window on the Boardwalk, but the Lincoln location never became anything more than a cruel, cruel tease. Finally, Locali's healthy deli and market delivers something unique that the neighborhood is welcoming wholeheartedly. Breakfast is served all day and includes brekkie burritos, sprouted bagel sandwiches and the most popular Baaadass Breakfast Sandwich, a vegan sausage patty with vegan soy-free cheddar, chipotle sauce and maple syrup on a multigrain english muffin. But meat eaters should not be dissuaded. Their turkey Rueben (which of course can also be made vegan or gluten free) will be your answer to the one you've been missing ever since poor Omelette Parlor closed a few months ago. Marinated turkey slices, swiss cheese and sauerkraut are smothered with a savory housemade Russian dressing on rye before getting toasted on a hot panini press. Half sandwiches are an option too, so you can save room for a cup of soup or one of the sides, like red cabbage slaw or hemp soba salad. But what about Slurpees? They have their version of those too, but these are all natural and include flavors like the green tea arnold palmer and cherry aloe ginger. 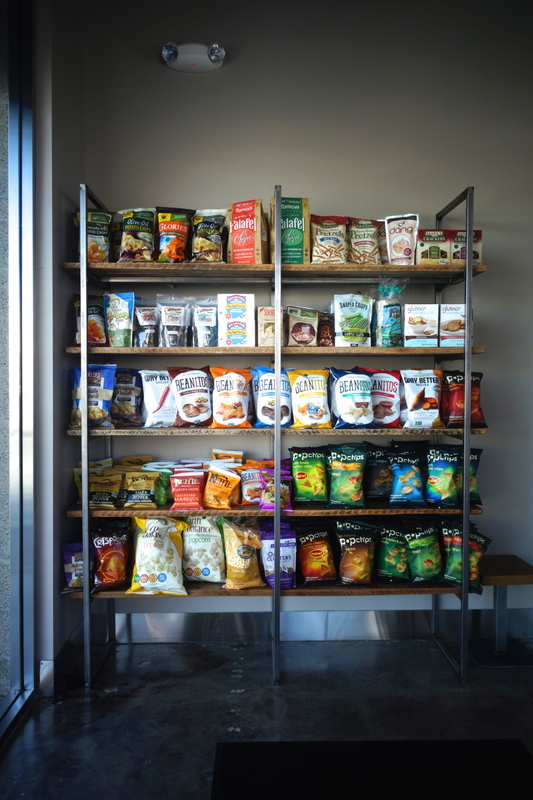 There's also a coffee bar with espresso drinks, smoothies, juices, and the refrigerated section is stocked with plenty of grab-and-go options like sparkling water, all natural sodas and full strength kombucha. In the convenience section, much like you would discover at Whole Foods, these brands are made with organic ingredients and the roll-on deodorant is aluminum free. This is Locali's third location. The original is in Franklin Village in Hollywood, and there's another in the Fashion District, Downtown. The owners say that while this could potentially be a tough spot, tucked into the corner of a small strip mall and set back from busy Lincoln Blvd. they're happy to be in Venice and feel that with the re-opening of Lincoln Place Apartments only a few blocks away as well as the revitalization of Lincoln Blvd., they're confident that they'll be serving a growing community of people who are seeking healthful options in a convenient, everyday way. For even more convenience, customers can order online, and in the coming weeks, Locali will be offering bike delivery service throughout all of Venice.